As the popularity of velvet continues to grow, check out our stunning new collection of FR Plain Upholstery Velvets, offering exceptional versatility whatever your contract needs. PADOVA is an elegant soft handle plain that comes in 13 rich and intense colours - use to create a luxurious individual piece or a gorgeous mixed group. Lustrous MODENA is a crushed velvet available in 10 shimmering shades, from soft silver and pewter to dreamy violet and sapphire. 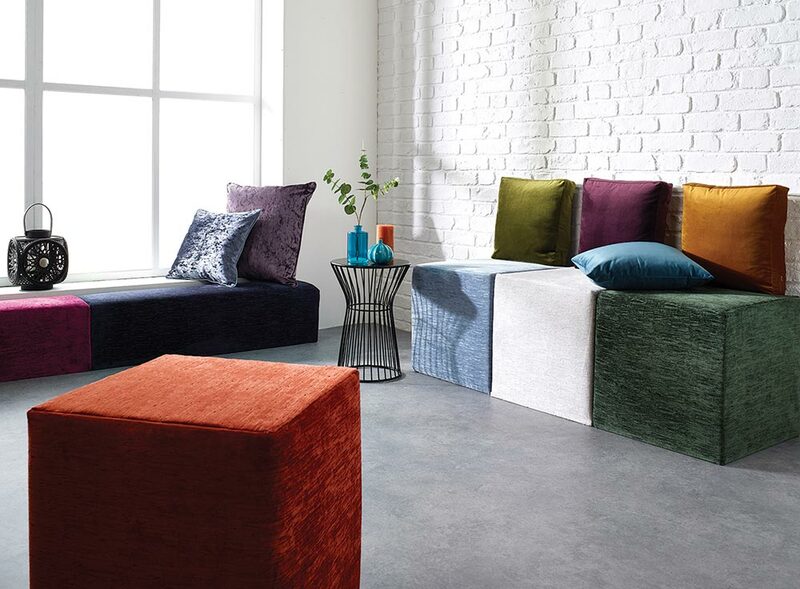 PISA, in 20 vibrant colours, is an inviting textured ribbed velvet, great to add impact and drama. Tune into the mood for clashing colours. Whether you are looking to create a classic look with sumptuous sofas, smart reception chairs or an interior with cool statement pieces, our Plain Upholstery Velvets will have it covered. All 3 designs meet full FR contract standards and with rubs from 50-100k, they are ideal for both the UK and export hospitality markets.